Fifteen-year-old Mia Hopkins emerges from the car crash that killed her sister terribly scarred and unable to fully recall the details. Consumed with grief, she's sent to live with her grandmother whom she's never met for the summer. There she meets Fig and Cooper and learns two important lessons: she's not alone and redemption is possible. 297 pages, softcover from Zondervan. As the rest of Mia's family struggles with their own grief, Mia is sent to New York City to spend the summer with a grandmother she's never met. All Mia wants to do is hide from the world, but instead she's stuck with a summer job in the bustling kitchens of the caf down the street. There she meets Fig--blue-haired, friendly, and vivacious--who takes Mia under her wing. As Mia gets to know Fig and her friends--including Cooper, the artistic boy who is always on Mia's mind--she realizes that she's not the only one with a painful past. 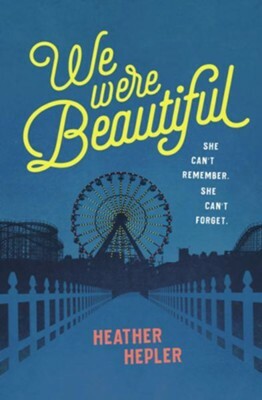 I'm the author/artist and I want to review We Were Beautiful.